“Already there are coming in among our people spiritualistic teachings that will undermine the faith of those who give heed to them. The theory that God is an essence pervading all nature, is one of Satan’s most subtle devices. It misrepresents God, and is a dishonor to His greatness and majesty. Pantheistic theories are not sustained by the Word of God. The Light of His Truth shows that these theories are soul-destroying agencies. Darkness is their element, sensuality their sphere. 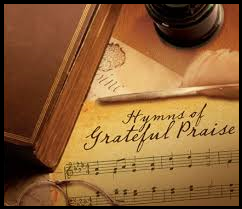 They gratify the natural heart, and give license to inclination . . . .
As most of you know, I believe wholeheartedly that a healthy church chooses congregational songs with theologically rich text and well-crafted, singable music. This is part one of a three part discussion on some of the differences between hymnody and contemporary worship songs. Protestant denominations have been singing people since the days of the Reformation. 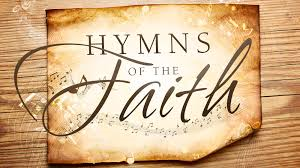 Their hymns represented the mettle and fortitude they displayed in breaking away from the religious establishment (Roman Catholic church), and forging ahead in their new faith traditions. The American versions of these faith traditions initially carried on the mantle of hymnody, with much content being shared between denominational lines. In many churches today, hymns and hymnals remain, either as a vital piece of corporate worship practices or as a sentimental nod to the past. In other churches, including churches in most if not all major denominations, there has been a decided shift . . . .
“The LORD (Jehovah, Yehuwah) is my Strength and my Shield; my heart trusted in Him, and I am helped . . . Therefore my heart greatly rejoiceth; and with my song will I praise Him ! O LORD my God, I cried unto thee, and Thou hast healed me. O LORD, Thou hast brought up my soul from the grave . . . Thou hast kept me alive, that I should not go down into the pit . . . . Perils of the Emerging Church ? What exactly is “the Emerging church” ? and why are we now seeing students, pastors and many congregations being encouraged to introduce “Spiritual Formation” programs into their curriculums? Is there a danger that we may be opening the door to teachings of which we were warned of more than a hundred years ago ? Are we witnessing the beginnings of the Omega apostasy, and a movement which will usher in the coming anti-christ ? And why are so many of these practices also found in the mystical teachings of the pagan religions of the far East ? Now learn the Truth which the dragon has sought to keep hidden for ages. And the role this movement is playing in preparing mankind for the final battle between Light and darkness ! The spirit Behind the Music ! In the world we are witnessing changes such as never before; even in the last 10 years events which stagger the imagination are rapidly fulfilling. But are these changes effecting God’s children and even the church ? Now we are beginning to understand how the dragon has opening his mouth, and is pouring out “a flood” in order to sweep thousands away with the world in the coming storm. Many are being subtly deceived into believing that the church and the world can be blended as one, without any danger to the integrity of God’s Truth, or His people . . .
We encourage all of our brothers and sisters to consider seriously the Words of Christ to us, through the apostle Paul, when he said, My beloved brothers and sisters in Christ Jesus, “Be ye not unequally yoked (joined) together with unbelievers: for what fellowship hath righteousness with unrighteousness? And what communion hath Light with darkness? And what concord (accord, harmony) hath Christ with Belial (the sons of Satan)? or what inheritance hath he which believeth with an infidel ? And what agree-ment hath the Temple of God with idols? For ye are the temple of the Living God; as God hath said, I will dwell in them (their hearts and minds), and walk in them, and I will be their God, and they shall be My people. “Love not this world, neither the things which are in the world. For if any many loves this world, the love of The Father is not in him . . . . for all that is in the world, the lusts (carnal desires) of the flesh, the lusts of the eyes, and the pride of life . . . . is not of the Father, but is of the world.